The talking points were issued by Media Matters Action Network, a partner project of MMFA. They are, in essence, meant for those who want to defend the Obama administration over the DOJ snooping. Media Matters for America monitors, analyzes, and corrects conservative misinformation in the media and was not involved with the production of the document focusing on the DOJs investigation. That document was issued by “Message Matters,” a project of the Media Matters Action Network, which posts, through a different editorial process and to a different website, a wide range of potential messaging products for progressive talkers to win public debates with conservatives. 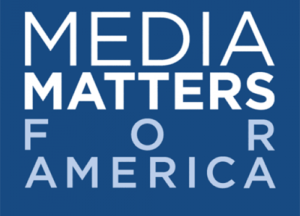 As a media watchdog organization, Media Matters for America recognizes that a free press is necessary for quality journalism and essential to our democracy. A healthy news media is what we fight for every day. Yesterday, 52 news organizations signed a letter to the Department of Justice expressing concerns that the DOJ’s broad subpoena of Associated Press reporters’ phone records runs counter to First Amendment principles and injures the practice of journalism. We stand with those news organizations and share their concerns. That makes perfect sense, doesn’t it? They stand with the news organizations and share their concerns, except when their “partner project,” which has the same chairman as MMFA, doesn’t.